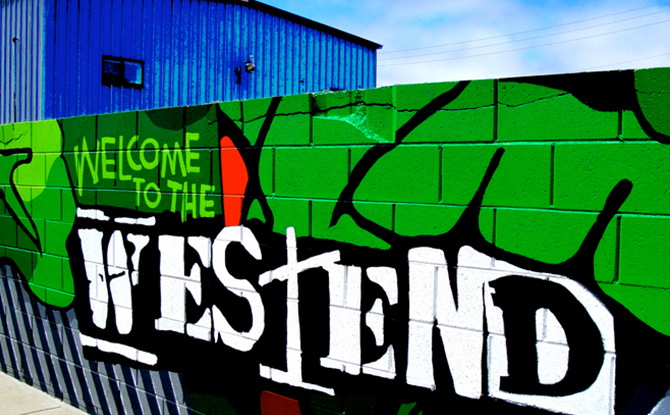 comes alive this weekend during its annual West End Celebration. The streets of Sand City shut down and become an open-air artists&apos; fair, showcasing truly unique works from artists throughout Monterey County. Don&apos;t miss tons of live performances from musical acts like Tommy Castro with Red Beans & Rice, Mike Beck, The Mother Hips, Moonalice and many more! Friday-Sunday. Sand City. Free event. Couldn&apos;t get enough of all of the cars during Auto Week? Don&apos;t worry, the Monterey Bay Mopars Car Show has just what you need. Several cars will be lined up and on show at Custom House Plaza near Old Fisherman&apos;s Wharf. Friday- Sunday. 4 Custom House Plaza. Free event. Need a good laugh? Planet Gemini brings in comedian Steve Hofstetter who has made appearances on Showtime&apos;s White Boyz in the Hood, and CBS&apos; The Late Late Show with Craig Ferguson. Stay for karaoke or the After Party where local DJs mix up the latest hits. Friday and Saturday from 8pm-1:30am, 2110 Fremont Street, Monterey. $10. Fernwood Tavern in Big Sur hosts the talented CB Brand on Friday and Saturday night. Friday and Saturday at 9pm, 47200 Highway One, Big Sur. Free event. Monterey gets a dose of Coachella this weekend when the First City Festival takes over the Monterey County Fair & Event Center. Over 30 bands and musicians perform on three stages throughout the 2-day music fest. Major acts include Modest Mouse, Passion Pit, MGMT, Neko Case, Beach House, Toro y Moi and many more! Saturday and Sunday, gates open at 12pm and music begins at 1pm. 2004 Farigrounds Road, Monterey. Two-day General Admission Passes are $149.50 and Two-Day VIP Admission Passes are $279.50. Use discount code SeeMontereyFCF to get 25% off of Two-Day General Admission Passes and Single-Day Saturday or Sunday tickets. Today your little astronomers-in-the-making will love Starry Night where kids can learn about the stars in our fascinating galaxy at MY Museum. 3:30pm-4:30pm, 425 Washington Street, Monterey. Free with museum admission. It&apos;s summer and it&apos;s time to party at the Carmel Plaza! Tonight&apos;s Summer Live Music Series features live music from the Dennis Murphy Band, food from Jack London&apos;s and wine from Silvestri Vineyards and Parsonage Winery. 5pm-7pm, Ocean Avenue and Mission Street, Carmel-by-the-Sea. Bring your kids out to Earthbound Farms today to play in the dirt! The Bug Walk shows tiny tots the importance of insects to crops and kids can even release lady bugs into the field. 11am-12pm, 7520 Carmel Valley Road, Carmel. $5 per child. 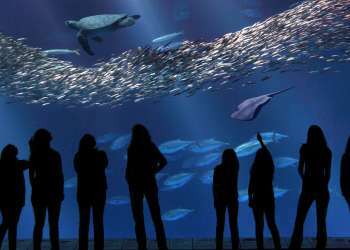 Only a few weeks left to enjoy Evenings by the Bay at the Monterey Bay Aquarium! Tonight, check out the spectacular exhibits with live jazz music by Along Came Betty. 6pm-8pm, 886 Cannery Row, Monterey. Free with aquarium admission. Big Sur River Inn invites you to relax by the river and enjoy live music on their outdoor deck. Today&apos;s performance is from vintage jazz band Paige Too! 1pm, 46840 Highway One, Big Sur. Free event. 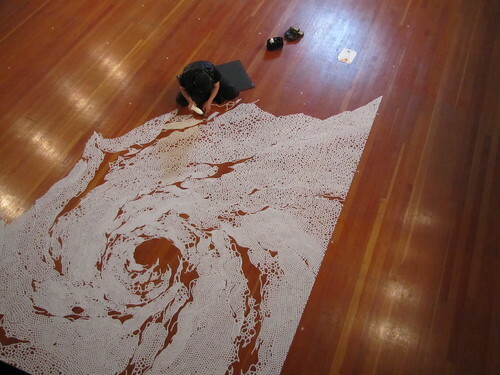 Saltworks by Motoi Yamamoto is officially coming to an end at the Monterey Museum of Art. Visitors are invited to help wipe away the intricate salt design and return it to the sea in a festive community march to the wharf. 1pm, 559 Pacific Street, Monterey. $10. 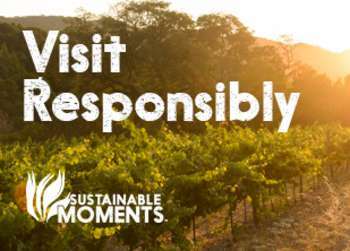 Get out and enjoy the warmth of Carmel Valley at Bernardus&apos; Garden Party. The summertime afternoon party features live music, hors d&apos;oeuvres and Bernardus wine, of course. 2pm-5pm, 415 W. Carmel Valley Road, Carmel Valley. $65. Evenings by the Bay features live music from Bill Spencer and Omega Rae at the Monterey Bay Aquarium tonight. 6pm-8pm, 886 Cannery Row, Monterey. Free with aquarium admission.